185HR15 Michelin XVS-P comes with a raised curbing band on one side and is a perfect tyre for saloon cars such as Jaguar MK1, Jaguar MK2, BMW 2600, BMW 3200, Mercedes 220D. However, the real important demand for this tyre is for the later Citroen DS. 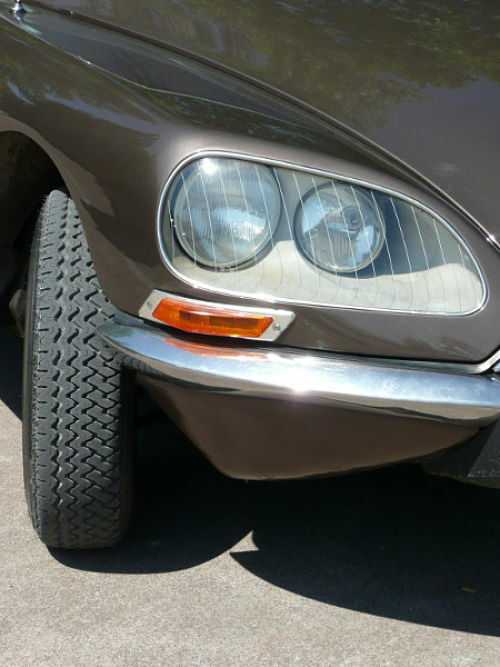 In the early 70's the Citroen DS started moving towards fitting a 185HR15 tyre instead of the 180HR15. Back in the day this tyre could have been listed as a 185HR380, 185R380 or 185-380. The later Citroen DS fitted the tyre size 185HR15. The injection models and post 1973 tended to fit 185HR15. this is a DS fitting 185HR15 Michelin XVS-P. The Overall Diameter of the 185 HR 15 Michelin XVS-P is 674 mm and the width is 185 mm. For more information on the 185 HR 15 Michelin XVS-P please see below or call +44 (0) 1302 711 123.